Endangered Species To help prevent extinctions, it is important to identify species that could soon disappear. A species in danger of becoming extinct is classified as an endangered species. 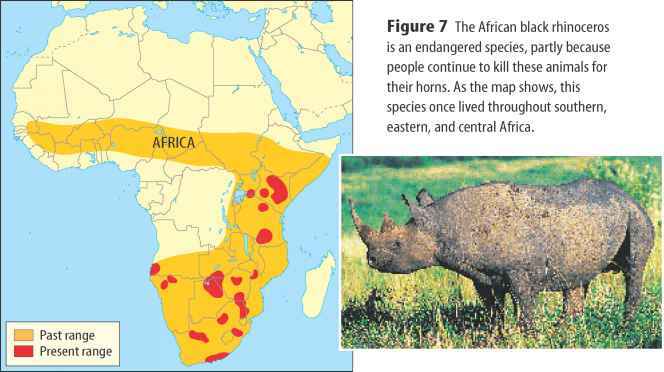 The African black rhinoceros, shown in Figure 7, is endangered. Rhinoceroses are plant eaters. They use their horns to battle each other for territory and to protect themselves against lions and other predators. For centuries, humans have considered rhinoceros horn to be a rare treasure. It is so valuable that poachers continue to hunt and kill these animals, even though selling rhinoceros horn is against international law. In 1970, there were about 100,000 black rhinoceroses in Africa. By the year 2000, fewer than 3,000 were left. Threatened Species If a species is likely to become endangered in the near future, it is classified as a threatened species. 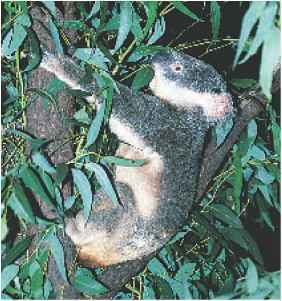 The Australian koala, shown in Figure 8, is threatened. People once hunted koalas for their fur. In the 1930s, people realized the koala was in danger. Laws were passed that prohibited the killing of koalas, and the koala populations began to recover. Koalas rely on certain species of Australian eucalyptus trees for food and shelter. After the 1930s laws were passed, Australia's human population grew and the koala's habitat began to disappear. By the year 2000, nearly two-thirds of the koala's habitat had been lost to logging, agriculture, cities, and roads. 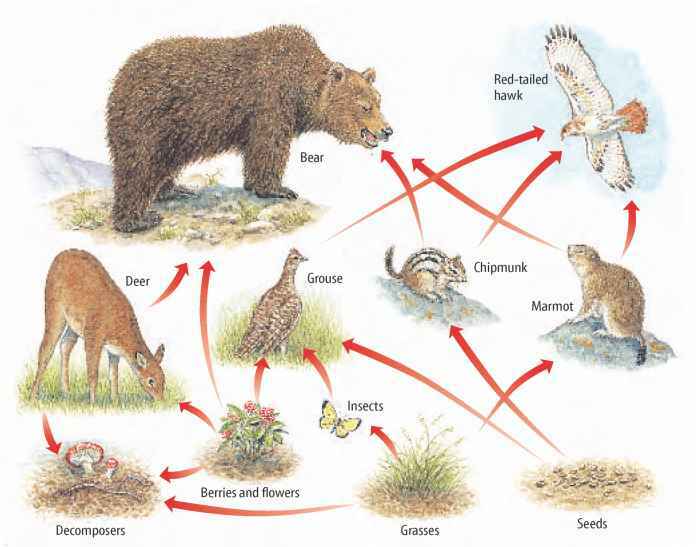 Figure 8 Koalas are related to kangaroos and opossums. The loss of their habitat threatens the future of wild koala populations.